Yes. 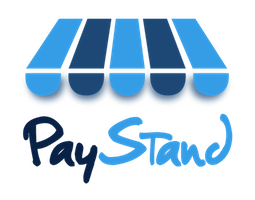 All transactions with PayStand are secure online payments. We are PCI Level 1 compliant, using 256-bit SSL encryption, with certificates from industry security leaders Norton and VeriSign. The Payment Card Industry Data Security Standard (PCI DSS) is a set of requirements designed to ensure that ALL companies that process, store or transmit credit card information maintain a secure environment to protect cardholder data.